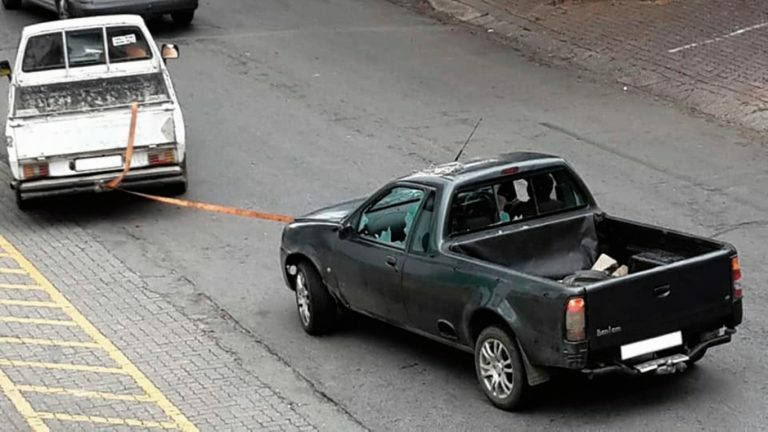 A fuming woman unleashed her anger on her supposedly cheating husband’s Bantam bakkie in a parking lot last weekend. 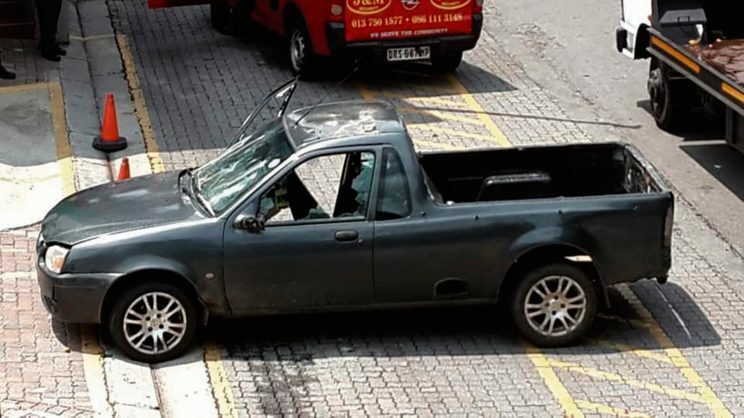 What exactly led to an angry pregnant woman finding out that her husband was cheating on her is not yet known, but whatever occurred led to the man’s bakkie being severely damaged, perhaps even beyond repair. According to staff who work at a nearby restaurant in Mpumalanga, the woman allegedly caught her husband red-handed with another woman. He allegedly ran away when she tried to confront him, reports Lowvelder. This was the last straw for the pregnant woman, who then unleashed her frustration on her husband’s dark grey Bantam bakkie. First, she smashed the windows with a cement brick, leaving deep dents all over the car. She then opened the door of the bakkie and broke all the glass on the dashboard. And for good measure, she ripped out all electrical chords as well. A small audience of security guards and curious spectators gathered to witness the destruction. 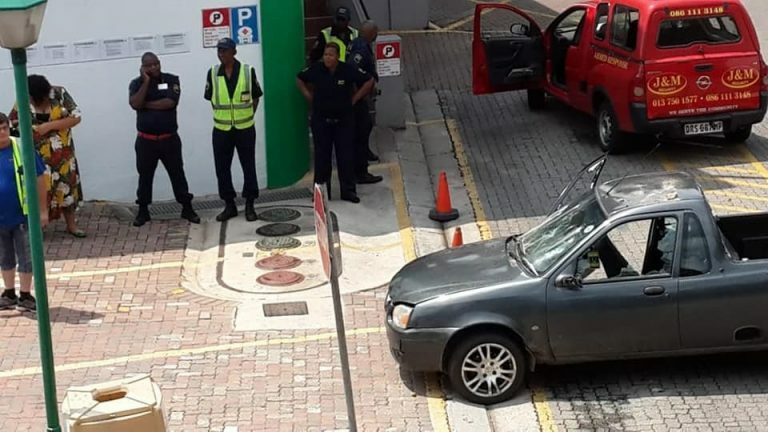 At a stage during her tirade, she poured an unknown powdery substance into the car’s petrol tank. She then keyed “f*** you” on the engine cap. Upon arriving at the restaurant for lunch, Heino Kruger heard about the incident, which at that stage was drawing quite a crowd on an otherwise quiet Sunday afternoon. “I felt really sorry for her and wanted to fetch her to give her a cold drink. But my conscience told me I shouldn’t interfere,” he said. Friends and family then descended on the scene, calmed the woman down and took her home. After a while, the husband appeared and called a tow truck to take his battered vehicle away. A man in a white bakkie arrived a short while later to tow the car. Lowvelder’s attempts to track down the owner of the car were unsuccessful.